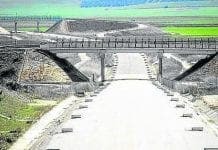 THE cost of Spain’s high speed railway set to be built in the near future has been calculated at €27,000 million. To date, the country has already poured €70,000 million into its AVE service, while each kilometre of track costs €11 million to build and €150,000 per year to maintain. 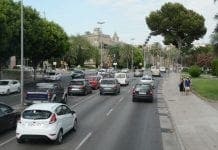 While an El Pais article claims ‘no Spanish AVE line is profitable’, hotel stays appear to have dropped by 8% in cities connected by the service according to the Foro del Transporte. The whole high speed saga is insane. None more so than in big countries like Spain. Video-conferencing is the new norm and long distance commuting has always been a form of insanity. So who was it that wanted these high speed lines – the big civil engineers, same as in the UK. If your going to waste tax payers money at least do it building mag-lev lines inside weatherproof surface tunnels. Numbers using high speed rail routes in Spain have gone consistently up, and they have overtaken air transport between major cities. No coincidence either that their rail exports are going all around the world – this month Talgo are trialing their trains in India. A similar thing happened with the railways in the late ?? the XIX century , the bankrupt of the railway companies sparked a big economical crisis (1873?). The railways were a bad bussines in the short term, but it have been imprescindible for the industrilization of many countries. Squiddy – they are’nt making a profit they cost a fortune to maintain – brain in gear – not. I think that can be wrong to judge the economic decisions only in terms of money. Money is only a simbol wich represent wealth. When costs are’nt covered, businesses go bust – simple economics. Yes,Stuart, this logic works in usual business, but I doubt that It can be applied to countries´ infraestucture issues. For example in USA the excelent rail road network off past times have been dismantled or have undergone many decades of maling neglegect, because costs were not covered. The result is is that USA has lack of an appropiate rail road network . And if in some time suffers a scarcity of oil , will not be possible the transportation of cargos and people. Some confusion here – the AVE division is more or less breaking even. However it’s true that the investment cost ( £70 billion over 24 years, nearly £3 billion a year) will not be recovered directly from the train service. 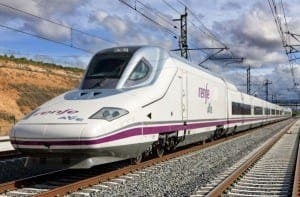 Remember however that not only is it a boon to small businesses, commuters, day trippers and travellers throughout Spain, but that various Spanish rail and construction companies now make a huge contribution to Spain’s exports. They can bid for contracts from New Zealand to the Middle East, India to California. Unfortunately the UK industry has been allowed to rot. Still, no doubt that £20 billion a year on housing benefit in the UK is seen by some as a better investment. Strange how those cities not yet connected by the AVE in Spain are clamouring for their link to be built. Even the Catalans who on the one hand will complain about the Madrid and French links being built, will on the other hand demand a link to Valencia is built pronto. irrational as ever. in no way is small business benefited from HSTs. Commuting is insane and completely uneconomic and you’ve completely ignored video-conferencing. Day trippers don’t use HSTs.